Six ladies from Bunker Hill spent the day at America’s Keswick blessed by the ministry and message of The Lord through Carol Kent. I’m sure they would love to share the testimony of the day with you! 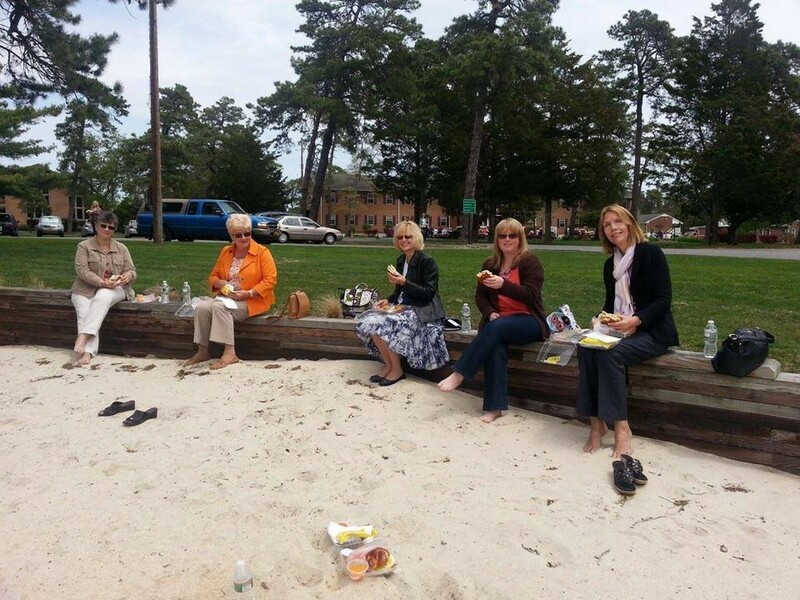 As you can see we were equally blessed by the weather and able to eat on the sandy lake front beach! Next year will welcome speaker Liz Curtis Higgs, well known author of Bad Girls of the Bible. Mark the date on your calendar now ladies! And join is for an amazingly blessed day! Weds May 13, 2015! With that much notice you won’t have any excuses not to join us! This entry was posted on Friday, May 16th, 2014 at 8:09 am and is filed under Ministry Updates. You can follow any responses to this entry through the RSS 2.0 feed. You can leave a response, or trackback from your own site.